the mirror | People Like Us & Hearty White) new works will be revealed in the coming weeks. People Like Us will perform The Mirror at Kunstnernes hus on Saturday 10 November 2018. It will be followed by a Q&A with Rob Young and then a screening of Nothing Can Turn Into A Void. 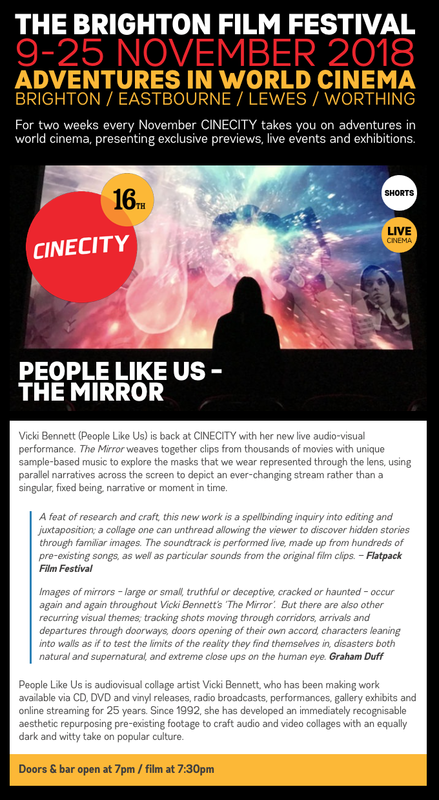 The Mirror will be performed at Brighton Film Festival (Cinecity) on 15 November 2018 at Fabrica.